RESEARCH: Can hitters be 'hot'? First, do players get "hot" (defined by a hitting streak) more often than we would expect by chance? And second, do players who have hitting streaks of at least 10 games, show improved performance over the next 10 games? If so, we should target these players. The question, then, is whether we can estimate the "correct" hr/f for a given player. An even more important question is whether we can use that information to predict regression from one season to the next. In two words: yes and yes. R&A: Do doubles turn into HR? A statistic frequently used to fuel speculation is the number of doubles a player hits - there is often conjecture that a player with a lot of doubles in one year might turn them some of them into HR the next. But does this actually happen with reliable frequency? Part two of our series on rookie 2H/1H splits that span two seasons. This week, the pitchers. Blurring the lines of rookie "seasons" to look for mid-year trends of 2010 callups. There are many ways to get on base, but none are as dangerous or painful as being hit by a pitch. Bruise Rate, or BRU, measures the rate of HBP per 600 PA—or about one season. Check out the active leaders in BRU. Many thousands of words have now been written about Toronto's Jose Bautista. No worthwhile forecasting system should have predicted more than 18-24 home runs for him entering 2010. But were there any logical indications that he could have not only beat that forecast, but that he could have more than doubled it? We compare pitchers' 2010 and 2011 year-to-date performances with swing strike percentages, looking for pitchers where the change in SS% indicates a change in Dom different from what has happened so far. What makes a strikeout? The first picture that comes to mind for many of us is that of a pitcher (probably a closer) blowing the hitter away with his fastball. So what are the pitch attributes that lend themselves to strikeouts more than others? We set out to explore that question this week by looking at PITCHf/x data. Back in 2009, we began a series of research articles looking at hard-hit data for both batters and pitchers. 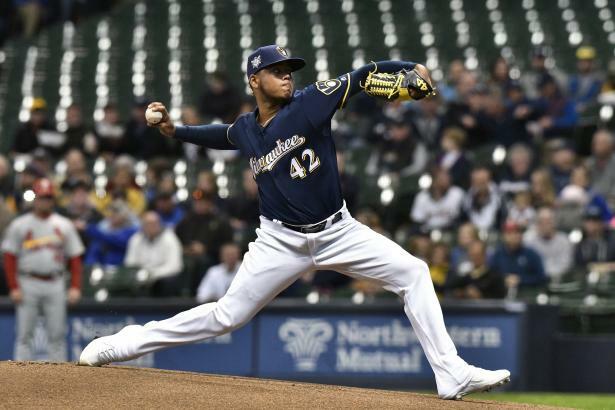 The research confirmed what you might expect—pitchers with lower hard-hit rates (HH%) generally had better results: higher Dom, lower hr/f rates, and subsequently, lower ERAs. However, at the time of that original research, we didn't have enough years of data to conclude whether pitchers actually had any control over their hard-hit rates. Now we do.